Standing in the heart of Cabo San Lucas, the *Marina Fiesta Resort* shines as the centerpiece of the beautiful Cabo San Lucas Marina! The classical Mexican architecture and design of the resort complement the beautiful views of the Marina. At the southern tip of Mexico's Baja California peninsula, visitors see the contrasting craggy peaks of the Sierra de la Laguna, blue water, and dramatic red rock formations. Saguaro cacti, palms, and cultivated gardens cover the vast desert landscape. Cabo San Lucas's signature identifying feature is the image of the world famous rock arch formation "El Arco", marking the spot where the Pacific Ocean meets the warm waters of the Sea of Cortez. Come enjoy the Mexican culture, nearby shops and restaurants! Buyer may receive a title fee credit, inquire for details! Lovely resort right on the marina! Week 1! Buyer may receive a title fee credit, inquire for details! Enjoy 2 floating weeks of vacation each year in Cabo! Perfect as a couple's getaway! Buyer may receive a title fee credit, inquire for details! Beautiful resort with stunning views of the Marina! Floating week! Buyer may receive a title fee credit, Bring Best Offer!!!! Enjoy the many relaxing and adventurous aspects of Cabo San Lucas! Floating usage! Inquire for details! Stunning resort overlooking the Cabo san Lucas Marina! RTU until 2031! Buyer receives complimentary closing credit; inquire for details! Price Recently Reduced! Beatiful Cabo Resort in Red Season! Make memories for a lifetime! RTU until 2027! Buyer May Receive A Title Fee Credit, Inquire For Details! Motivated Seller! 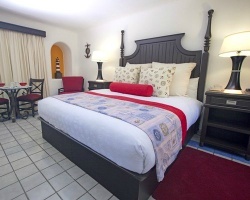 Fantastic deal for Cabo San Lucas! 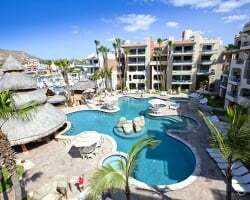 Floating week of your choice at this fantastic Cabo San Lucas resort! RTU until 2022! Buyer may receive a title fee credit, inquire for details! Explore Cabo San Lucas every year! Buyer May Receive A Title Fee Credit, Inquire For Details! All offers will be considered! 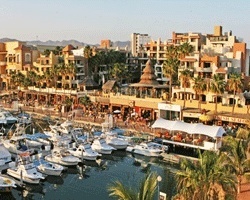 Floating week of your choice at this fantastic Cabo San Lucas resort! Buyer may receive a title fee credit! Red week 31! Price is negotiable. Excutive Studio! Right to Use lease expires 2023. Fantastic resort on the marina! Yearly usage in May, Red season week with rtu until 2021! 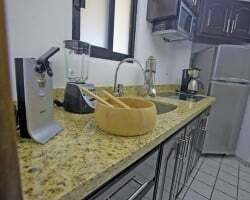 Executive studio with view of marina! Make offer! 6 weeks available, all on one deed. Very motivated seller - price is negotiable! Plenty of adventure to enjoy in beautiful Cabo San Lucas! Buyer May Receive A Title Fee Credit, Inquire For Details! All ages are welcome! RTU until 2021! Buyer May Receive A Title Fee Credit, Inquire For Details! 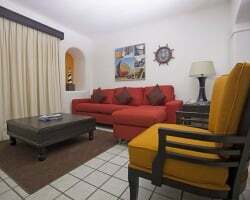 Come relax your cares away in gorgeous Cabo! Unit large enough to fit the whole family! Buyer may receive a title fee credit, inquire for details! Enjoy the many relaxing and adventurous aspects of Cabo San Lucas! Annual floating week! RTU until 2034! Inquire for details! Beautiful resort right on the marina! Red season week 11 usage! RTU until 2034! Inquire for details! Relax in luxury at this beautiful beach resort! Choose any floating red season week each year! RTU until 2037! Make an offer today! !